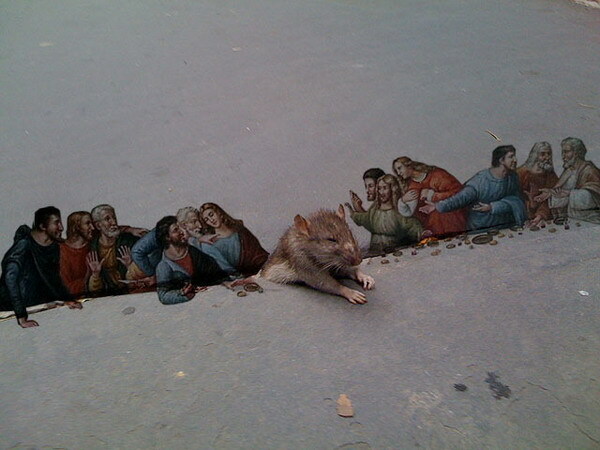 Remember the sad picture of a rat stuck in a sidewalk? Well, the Internet has updated itself since then. Here are some more photoshops of this image.